Every year in November, Balluminaria is held at Eden Park in Cincinnatti, Ohio. 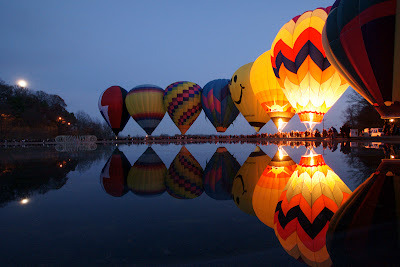 Several Ohio Ballooners fire-up their stellar thermal airships to illuminate Eden Park Pond and thousands of spectators for one awesome evening. Here is a glimpse of some those moments from November 2010.